We’re delighted to announce that Knaresborough Investments Ltd, the private equity vehicle owned by Steve Parkin, has made a significant investment in our rapidly-growing business. Steve Parkin is the Executive Chairman of Clipper Logistics plc, which he founded in 1992 and which now has a revenue approaching £400m. This investment will facilitate significant expansion for our business in this fast-growing sector, as the UK moves toward more sustainable energy sources. We are a leading provider of innovative electric heating solutions for homes and businesses, and our exclusive electric radiators are made with a compressed soapstone core, a natural product that not only provides rapid warmth, but also has remarkable heat retention. Soapstone originates from volcanic material, and compared with other materials has a better thermal conductivity due to its dense structure and mineral composition. This characteristic enables balanced and rapid warming throughout the soapstone structure. Its density also means that soapstone is excellent at retaining heat for long periods of time. Steve Parkin said: “When the management team at Trust Electric Heating approached me with the intention of securing investment, I recognised immediately that here was a strong management team with a great product in a dynamic, expanding industry sector”. Fiona Conor, our Managing Director, said: “The team has ambitions to transform the landscape of the heating industry with its products, which offer an alternative to central heating systems and night storage heaters and importantly, support a move towards more sustainable heating solutions. As you will know if you’ve looked at our History, Scott and Adam boast a wealth of experience in the electric heating market. Three years ago, with Fiona, we decided to form our own company. The investment from Knaresborough Investments will support us in our UK-wide expansion strategy. Tags: Trust Heating, Electric Radiators, Radiators, Electric Heating. If you are considering electric heating/electric radiators, then this guide tells you everything you need to know. Discover this modern, sustainable and economical method of heating that gives you complete control and comfort. Download Free Guide now. Quick installation and a 100 day warmth guarantee. Whether you’re buying one or several radiators, if our radiators don’t heat your room to a minimum of 22 degrees we will undertake to upgrade or replace the radiators free of charge. 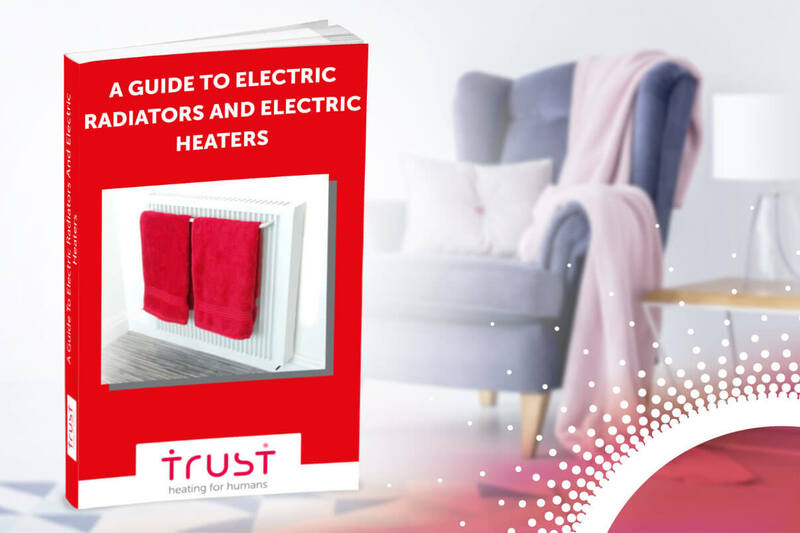 Trust Electric Heating are industry-leading, electrical heating experts providing innovative, affordable and sustainable heating solutions to homes across the UK.